Fifth Gear TV host Tiff Needell has gone for an exclusive first drive of the brand new Electric GT Tesla P100DL race car. 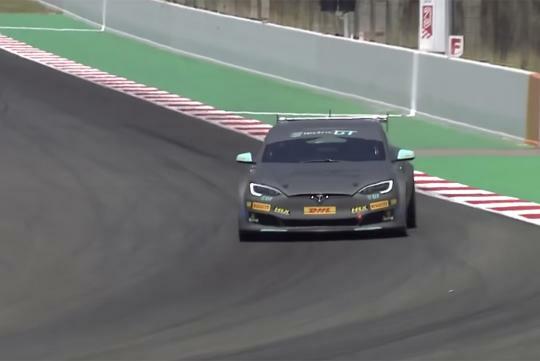 Dubbed the EPCS V2.3 Tesla P100DL, the car will be raced at the first Electric GT Championship come 12th of August in the U.K. As one of the very first few journalist to get a taste of how the car drives, Needell reports that the car is as fast as the quoted 778bhp and 995Nm power and torque figures suggest. However, he also noticed that the P100DL’s batteries overheated after just a lap and a half and had to take it back into the pits as it was beginning to lose power.